The second scratch-built Ironshark has left the dry docks and this time around I took some work in progress shots along the way. It was a much quicker and cleaner process second time around, now that I had a template to work from and figured out the best order of construction steps. Comparing with the Citadel catalogue page, there is obviously less detail on my reconstruction, but it has enough for my purposes. 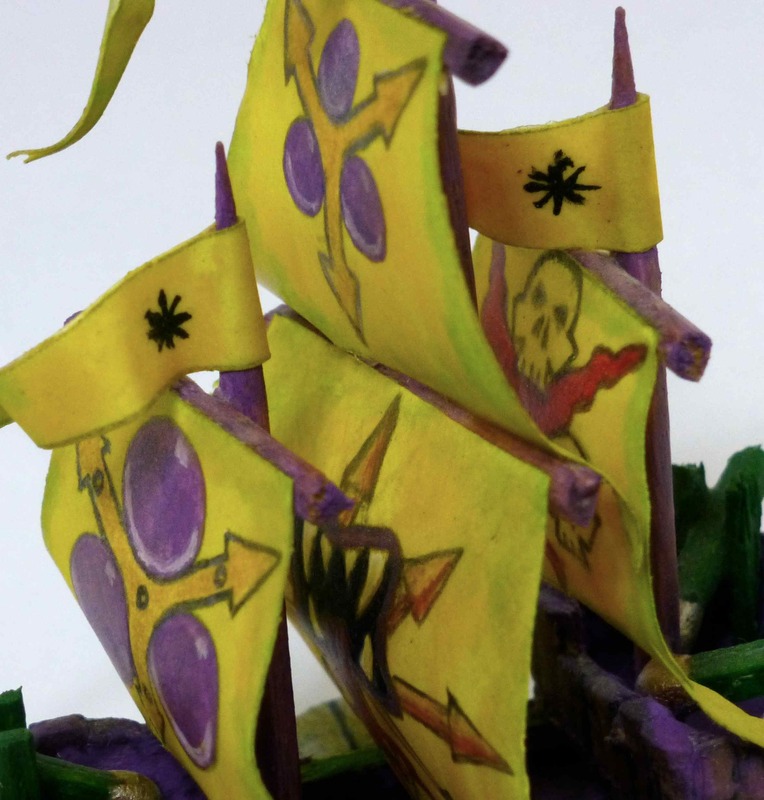 I see Man O’War ships somewhere between miniatures and playing pieces. The third Ironshark is at the second stage above, so I am hopeful of being able to finish it over the weekend. 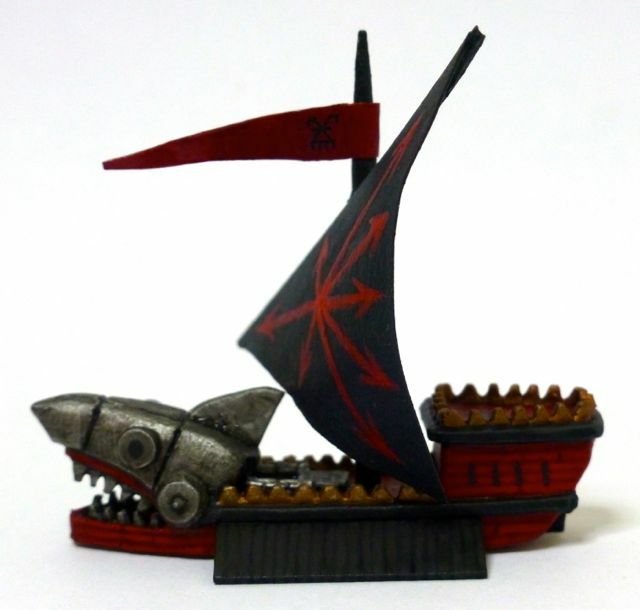 Next project – the dreaded Bloodship. 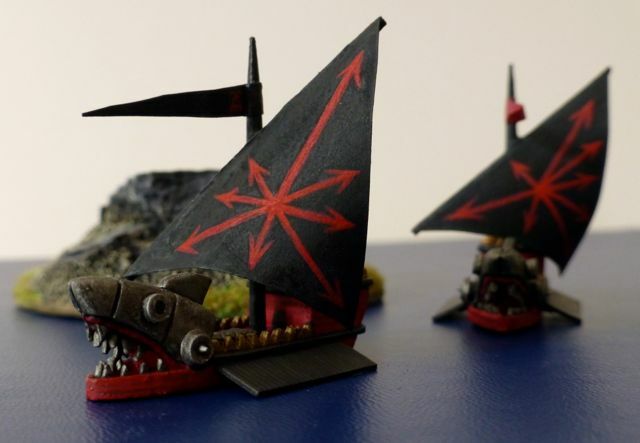 Since digging up the Plagueship I have been meaning to scratch-build some more ships for Man O’War. I decided on a squadron of Ironsharks of Khorne to get me started and so far managed to build and paint a prototype over the weekend. 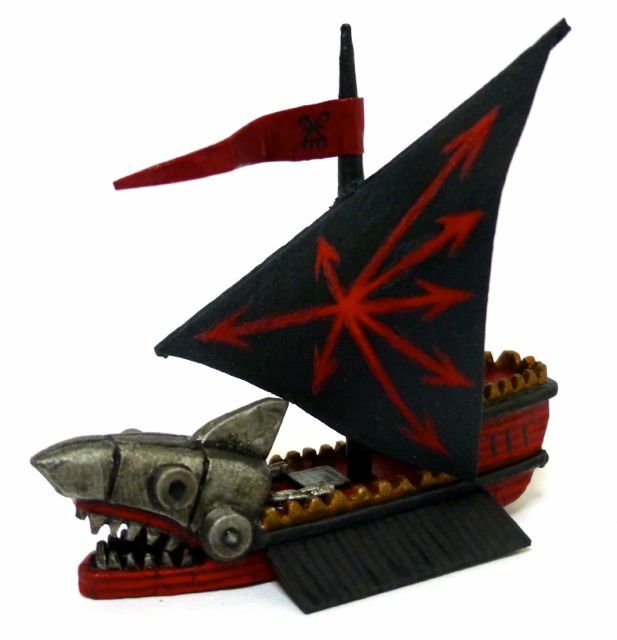 The original models for Man O’War are quite stylised and abstract, not to mention rather over the top. 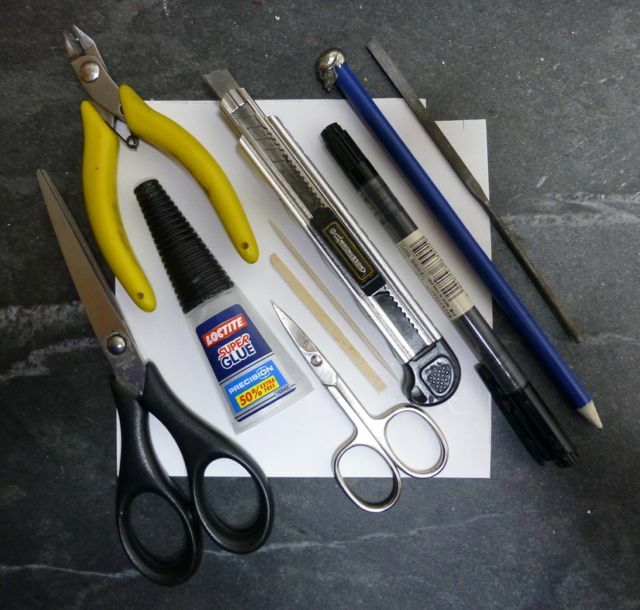 That makes it quite easy to recreate them, although I am not attempting to achieve perfect replicas, but rather recreations using the materials and techniques at hand. 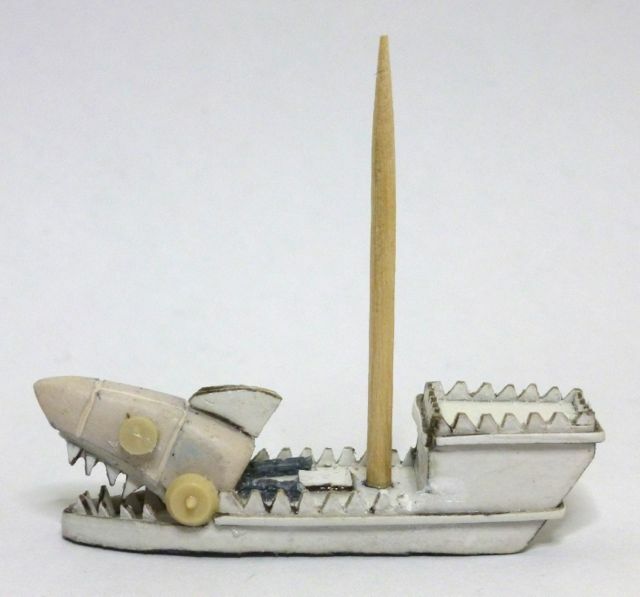 The shark bow of the ship is formed in Fimo, with cut offs from plastic sprues for eyes, cardboard teeth and fin and shield bosses from Skeleton Warriors for hinges. 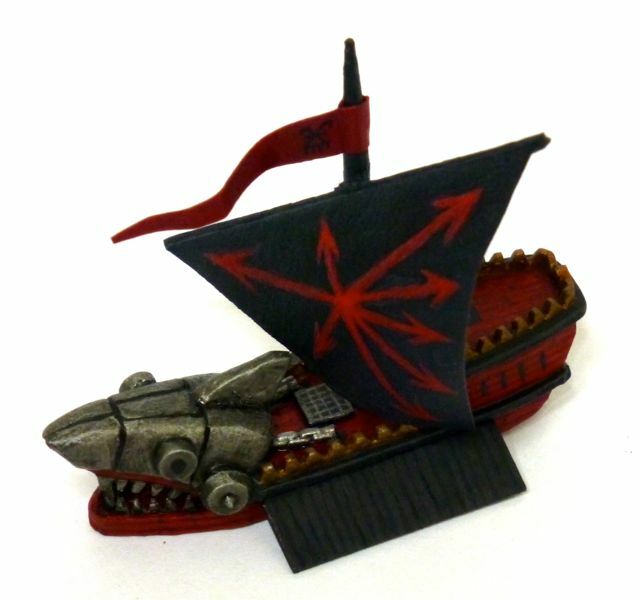 The chains leading below deck are sections from Dark Eldar trophies. 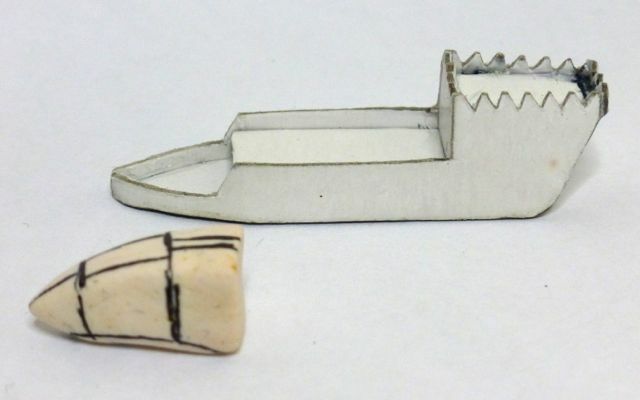 The body of the ship is cut from thin cardboard, held together with superglue. Rather than sculpting the oars I decided to simply paint them on strips of cardboard, same as the planks and the window slits. The mast is a toothpick and the yard a thin strip of balsa wood. 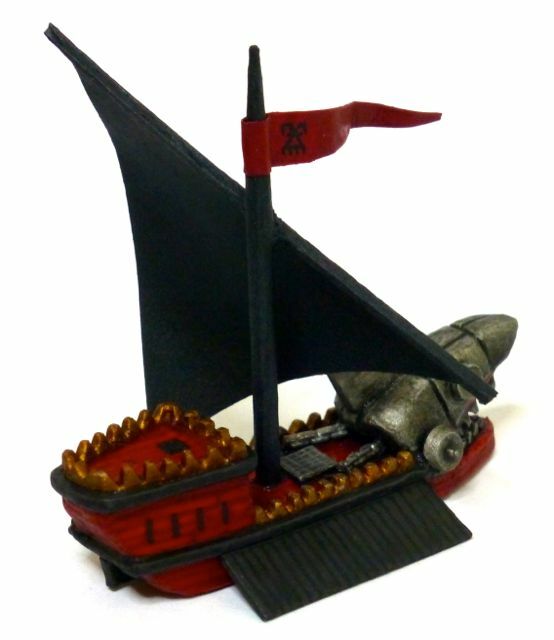 I was a big fan of Man O’War when it was released but with the ships being both difficult to get hold of and expensive (I was a student and already playing every other GW system available) I scratch-built several fleets. 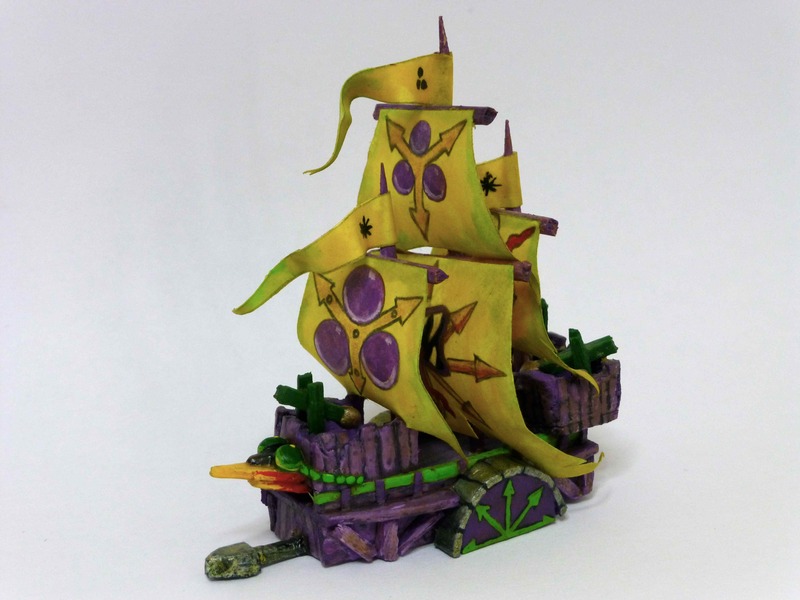 Fast forward to 2013 and only one ship is still afloat – the near-unsinkable behemoth that is the Nurgle Plagueship. 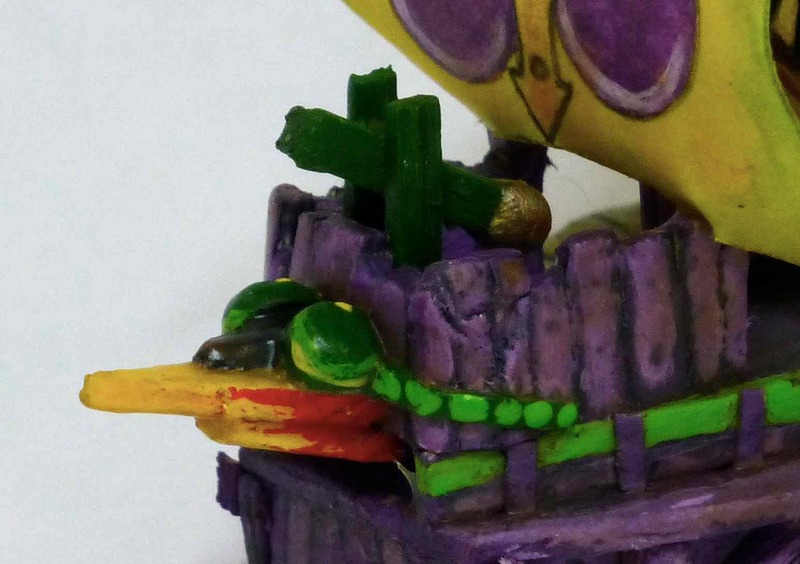 It is made entirely out of card, paper, toothpicks, matchsticks and bits of plastic sprues, covered in glue and hard varnish. Using the pages from White Dwarf that showed all components in original size as building instructions, this came together quite easily.